We are privileged to be stockists for Viridian - a leading brand of ethical supplements. 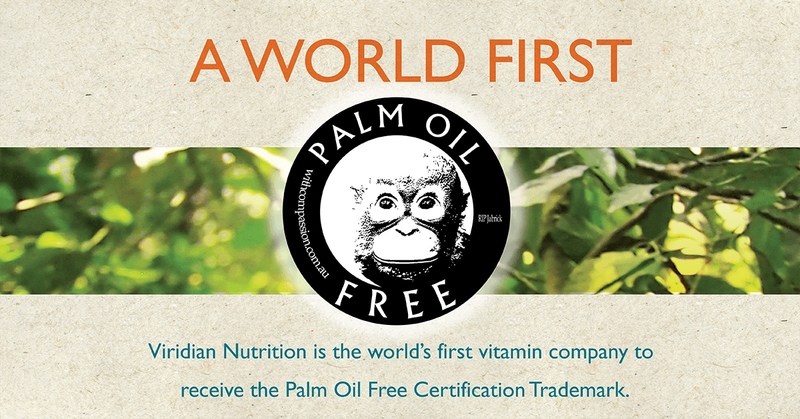 FEBRUARY 2019 - Viridian is the World’s First Certified Palm Oil Free Vitamin Company! The Viridian Nutrition range of 180+ award-winning products includes vitamins, minerals, herbs, nutritional oils, speciality supplements, tinctures and balms. All are free of magnesium stearate, stearic acid, shellac, talc or colourings and more than 40% of the Viridian Nutrition range is certified organic by the Soil Association. - making them the perfect choice for purity, efficacy and environmental consciousness!